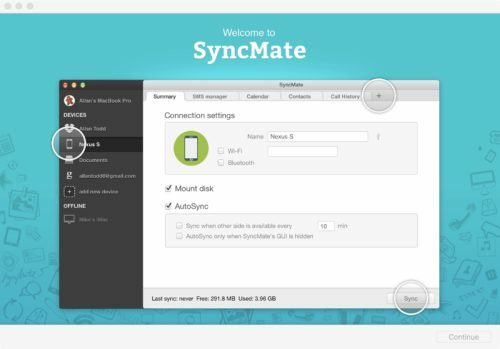 SyncMate7 is a application for your Mac that will sync data between your Mac and other devices. 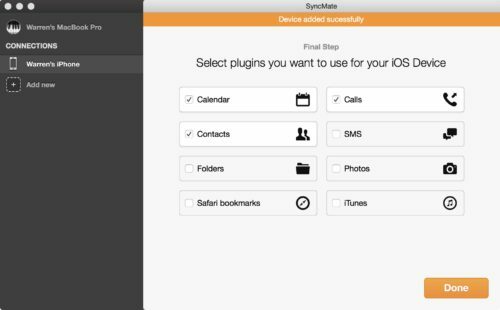 SyncMate7 will sync info, SMS, Folders, Photos, Calendars, Contacts, Safari Bookmarks and iTunes media between a Mac and Android, iOS, Another Mac, a Mounted Drive, Google, Dropbox, iCloud, a MTP Device, and Microsoft Services. 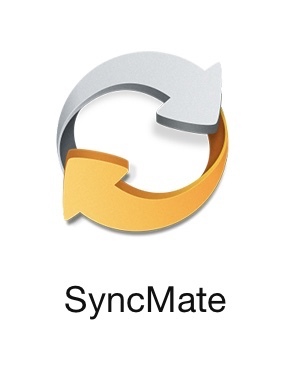 To install SyncMate7, download the DMG file and drag it to Applications. Once you open, it will ask for permissions to have access to your reminders, contacts and calendar. From the main screen, you are ready to create your sync partnerships. Choose Add New, then the device or cloud service you want to sync to and then choose the items you want to sync. When you choose the device or cloud service, you will be walked through the process of connecting it whether it be connecting via a USB cable or logging into the cloud service. 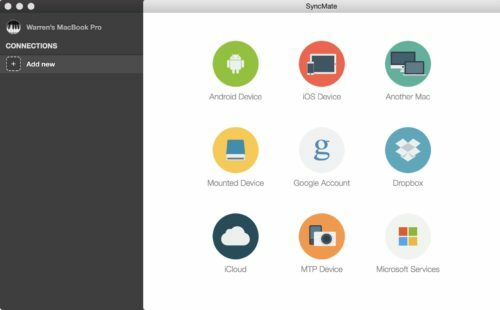 Once that is done, you can go into each sync item and choose the individual items you would like to sync, such as a particular folder, file, photo, etc. When you choose iOS as a device to sync to, you are prompted to install Fuse for MacOS. If you opt not to install it, you will not be able to sync with an iOS device. More information on Fuse can be found here. My first impression of the application was how powerful it was. The ability of pushing and pulling data from iOS is functionality you something don’t see in a lot of applications. My second impression was fear. There is a reason why you don’t see a lot of applications pushing and pulling data from a iOS device. 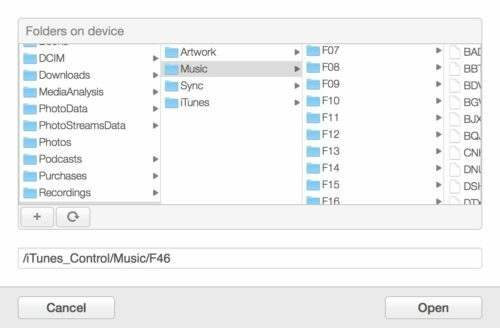 With iCloud and iTunes there isn’t a major need for one and using a thirdd party solution can make a mess of your iOS data if you aren’t careful. This is also true for syncing folders between Macs. With iCloud Drive and your documents and desktop being stored in the iCloud, you don’t really need a third party solution. Photos can sync with iCloud photos and music is stored in iTunes. If you are an Android/Mac user, this program might be useful. If you don’t use iCloud, this would also be useful, or if you don’t want to pay for additional iCloud storage. The first test I did was the iOS sync. I had to see what this utility could do. The calls, SMS and contacts tab didn’t load any data for me. The folders tab asked to sync a folder you would choose on the Mac and then a folder you can choose on the iOS device. The list of the folders on the iOS device are not something we are used to and there is no obvious place to find a location to put or get data from. I found a pictures folder, however the pictures were not organized in any way. I decided it was best not to corrupt anything on my iPhone or iPad during this evaluation (or ever). Other tests worked for the most part. Copying folders, music and photos across from my Mac to another Mac or a cloud service worked as planned, however some of the copies were very slow. There is a log, but it’s not very helpful. There is also an option to log into the iCloud account as a cloud service, however I couldn’t log into it with the correct credentials and their knowledge base doesn’t even mention it. 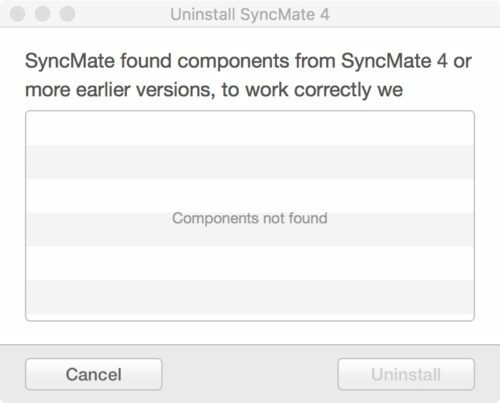 Lastly I went to uninstall SyncMate7 and the uninstaller didn’t work. MyMac Review Rating is 3 out of 10. Might have some use if you use an Android device or do not use iCloud however, not all functions work and the ability to get to the file system on an iOS device is a bit frightening.